I don’t think I’d recommend this build. It’s quiet, powerful, and pretty to look at, but a few issues with the build process where a major hindrance. The aluminum case feels flimsy (although this is probably my inexperience with a lightweight case). It bends under pressure of the power supply screws as the PSU doesn’t fit. 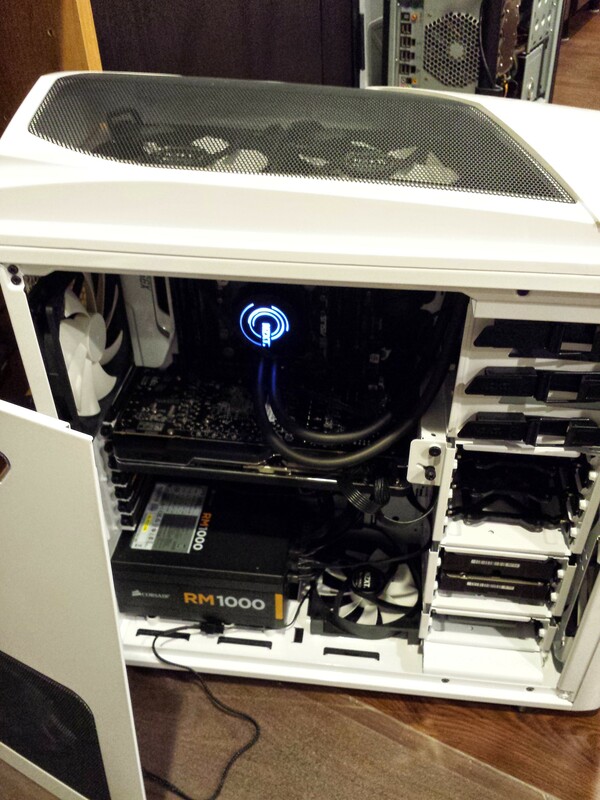 Most disappointing was combining the motherboard, case and cooling unit. 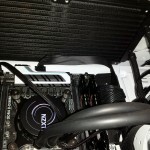 I picked NZXT supplies so I could easily water cool the CPU, since it does not ship with its own cooler and I’d have to buy something aftermarket anyways. 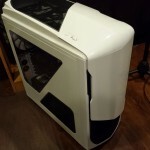 However, there was little clearance between the top of the motherboard and the cooler’s mounting point, which made it impossible to follow the install instructions and mount the NZXT Kraken inside the case. 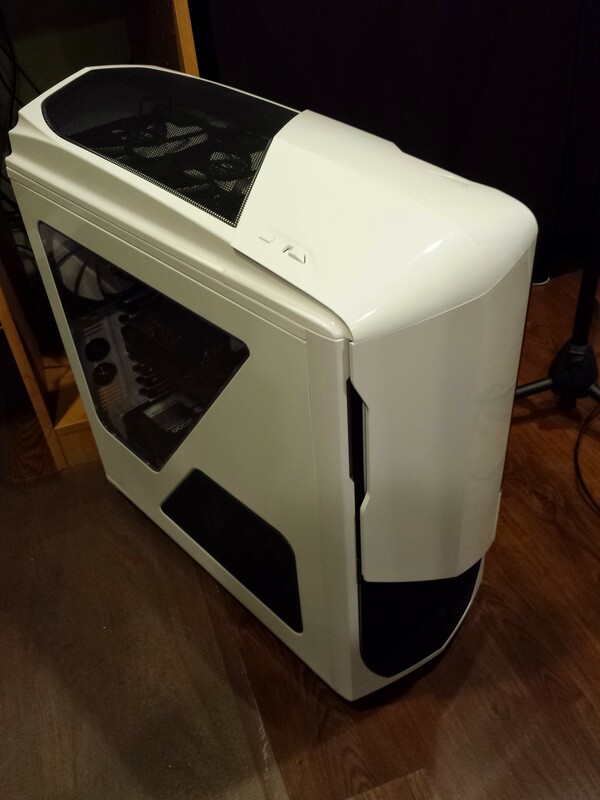 The NZXT case also includes a large compartment at the top, but only for fans with no suitable clearance for the water tubing. 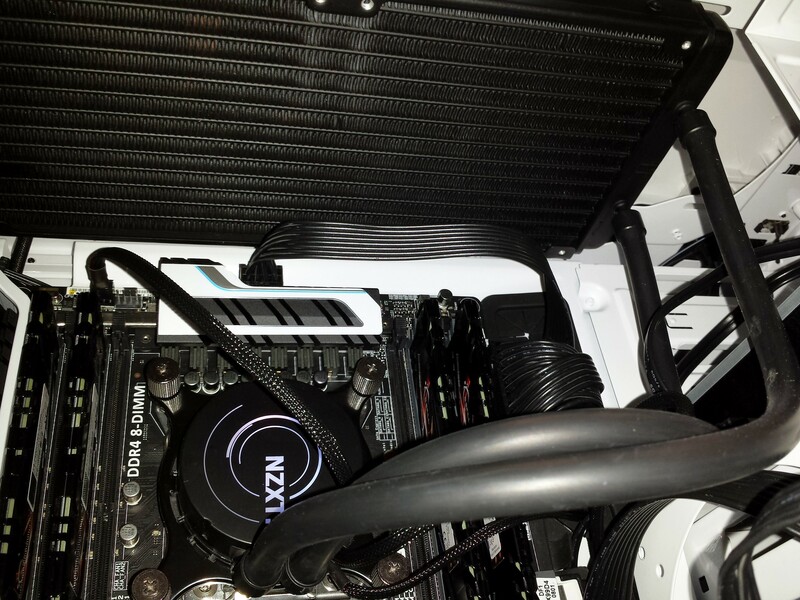 The solution was improvised: instead of setting the fans below to push air up through the heatsink, I moved them above and they pull air through the heatsink. 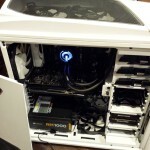 This allowed the fans to exist in the upper compartment, giving the clearance needed to fit the heatsink above the motherboard in the main compartment. It seems poorly designed and is especially disappointing as I hoped for an easy out-of-box solution. Also, the video card was purchased (non-returnable) a mere couple weeks before the Nvidia 970/980 announcement: darn. 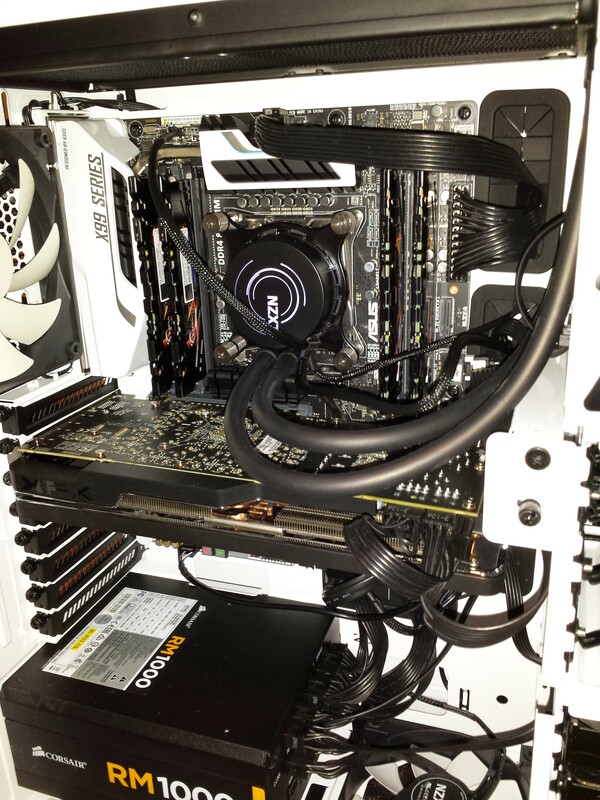 It runs a bit hot, and has noticeable fan noise when it kicks in. Fortunately, it’s so powerful, the fans don’t kick in all too often, but I suspect this will grow worse in time given newer video games. With a 50 foot HDMI cable one-directional cable from monoprice, I’m able to get video output direct to my TV. All in all, PC Gaming is pretty cool.